Register Now for Tutor Training in October! 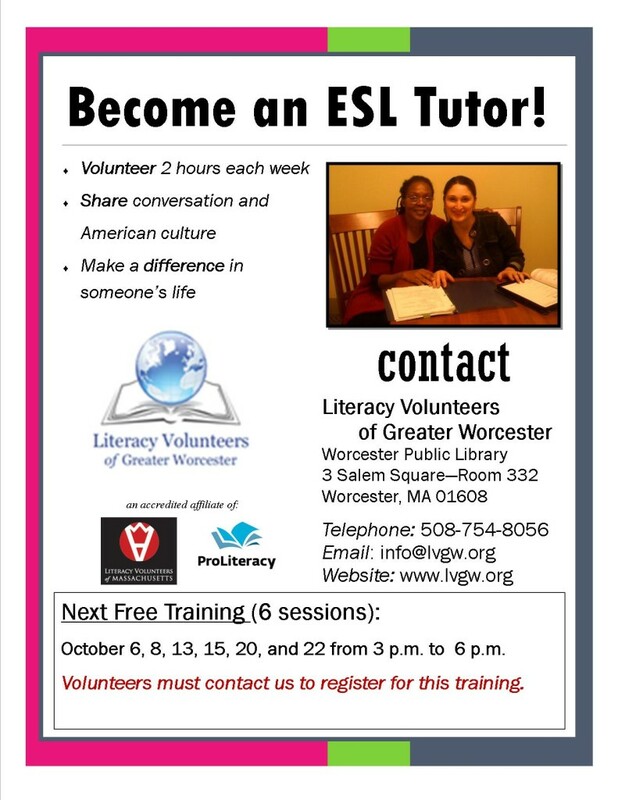 As a volunteer tutor with Literacy Volunteers of Greater Worcester you have the opportunity to directly change the lives of our students. Our tutors come from all walks of life, but all share in the desire to help a fellow community member learn how to speak, read, and write in English. Our students are primarily adult immigrants and refugees who wish to improve their English so that they can become contributing members of our society. Register now for our next free training. Sessions will run for three weeks, on October 6, 8, 13, 15, 20 and 22 from 3:00 – 6:00 pm.